The Ramblers were led by redshirt senior Marques Townes who finished with 18 points on 7-for-17 shooting. Sophomore center Cameron Krutwig also added 12 points and snagged eight rebounds despite playing through a broken nose, which he suffered during a victory over Drake University Feb. 5. 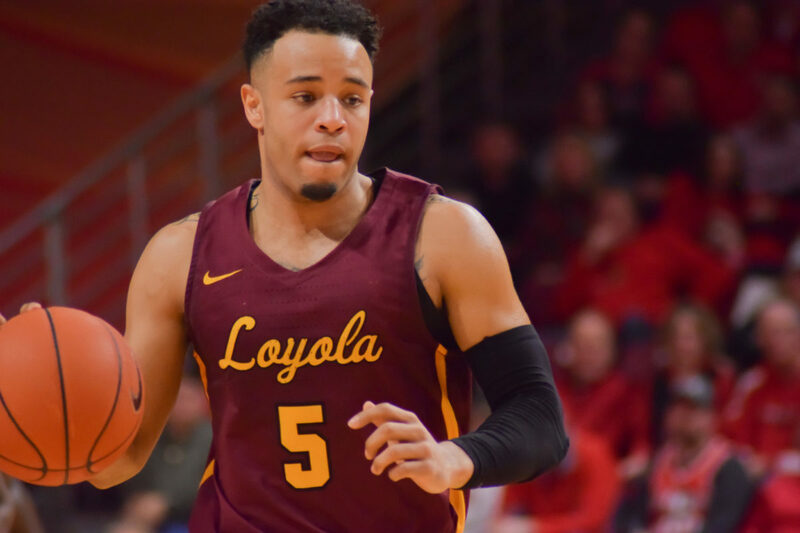 The win, paired with Illinois State University’s last-second loss to Missouri State University, gives Loyola a two-game cushion in first place in the Missouri Valley Conference. With six games left, the Ramblers head into the closing stretch of the conference season in the driver’s seat. Cooling off from a hot start to conference play, the loss sinks Valparaiso to a 6-6 MVC record and into a tie for fifth place in the MVC standings. This was the second meeting between the two teams, with Loyola dominating the Crusaders 71-54 at Gentile Arena Jan. 15. “It was about us getting stops down the stretch in about as physical a game as we have played all season,” Loyola head coach Porter Moser said in a statement. The second half saw the Ramblers shake off a 1-for-5 start from the field as they took the lead back with 2:43 remaining after trailing by as many as seven points. The comeback was started by a 13-0 run that spanned 5:46 as Townes provided a spark with five points over that stretch. Some Loyola students also made the trip to Valparaiso, courtesy of Moser. He paid for two busses and 100 tickets for students to make the 66-mile trek to the Athletics Recreation Center, and even came onto the bus after the game to thank the students for going to the game.